Annual awareness days help to educate the public in general and specific groups in particular about HIV/AIDS. Since the virus affects people from all walks of life, awareness days have increased over the years. Mark these days on your calendar and use the hashtags shown to promote them on social media. The Centers for Disease and Control Prevention (CDC) reports that African Americans are the group most affected by HIV/AIDS in the United States. Since 1999, NBHAAD has called on African Americans to set aside the stigma, fear and negative perceptions about HIV testing to find out their status. Socioeconomic issues contribute to high HIV rates in Black communities. According to the CDC, nearly half of HIV diagnoses in 2014 were among African Americans. The goal is to get people educated, involved, tested and treated. 19 percent of new U.S. HIV diagnoses. Females of all ages are encouraged to participate in awareness day walks, read up on need-to-know information and be inspired to take action. This day honoring American Indians, Alaska Natives and Native Hawaiians is observed each year at the start of spring and is intended to empower these groups to get tested and bring HIV/AIDS awareness to their communities. The CDC reports that new HIV diagnoses among American Indians and Alaska Natives are proportional to their population sizes and that new HIV diagnoses among Native Hawaiians have declined. However, there is still much work to be done to lower HIV rates even further in these communities. To engage those under age 25 on the topic of HIV/AIDS, this awareness day was started in 2013. NYHAAD recognizes that as the first generation never to know a world without HIV, youth are important to ending the epidemic. According to the CDC, about 22 percent of new U.S. HIV diagnoses in 2014 were among 13- to 24-year-olds. For NYHAAD, youth are encouraged to tweet, host events, get tested for HIV and set up tables on school campuses to educate others. The available—though incomplete—data about transgender people living with HIV/AIDS show that the virus disproportionately affects this community. Headed by The Center for Excellence in Transgender Health, this awareness day inspires transgender and gender nonbinary people to get tested. It focuses on learning about current and future options for prevention and treatment. NTHTD also encourages local testing events and campaigns promoting testing and awareness in the trans community. Use the hashtags #NTHTD and #TransHIV to share your plans. HVAD recognizes the thousands of volunteers, community members, health professionals and scientists working to create a safe, effective and affordable HIV vaccine. HVAD showcases the progress of the work so far, the importance of the research being conducted and how others can contribute. The goal is to one day have an AIDS-free generation both nationally and globally, which, with continued preventive and therapeutic vaccine research, is within our reach. have never been tested for HIV, due in part to stigma. Although the CDC reports that as of 2014, Asians accounted for only 2 percent of new HIV diagnoses and Pacific Islanders for less than 1 percent, new HIV diagnoses among Asians have been increasing. About 850,000 Americans are living with hepatitis B virus (HBV) and 3.5 million with hepatitis C virus (HCV). This testing day is important to Americans living with HIV/AIDS because many of them also have hepatitis. The CDC reports that one quarter of people with HIV nationwide also have HCV and that people at risk for HIV are also at risk for HBV. The goals of this day are to provide support and resources for those with viral hepatitis, to increase awareness of HCV and HBV and to encourage testing. This day honors all Americans who identify as long-term survivors of HIV. (June 5, 1981, marks the first official reporting of what would come to be known as the AIDS epidemic.) HLTSAD raises awareness about long-term survivors and makes sure they continue to be included in the ongoing HIV conversation. For those still alive who contracted the virus at the beginning of the epidemic, things have greatly changed. This day reminds them they are still important. HIV prevalence in the Carribbean is the second highest globally after sub-Saharan Africa. Founded in 2006, NCAHAAD brings HIV awareness to Caribbean Americans and Caribbean-born individuals in the United States through resources, education and testing. NCAHAAD is held annually during National Caribbean American Heritage Month. Local NCAHAAD events nationwide emphasize the importance of learning about prevention, testing and treatment. Founded by the former National Association of People with AIDS in 1995, NHTD is a call to people of all ages to know the facts about HIV. Getting tested allows people to know their status so they can learn how to stay negative or get treatment if they test positive to help prevent further spreading the virus. According to the CDC, one in eight people with HIV don’t know they have the virus. Every year, up to 45,000 people become HIV positive, which is why NHTD is important. NHTD gives us all a chance to take control of our sexual health. HIV/AIDS affects all faiths across the United States. Global health groups have called on religious leaders to capitalize on the trust of their followers and use their power to help end the epidemic. 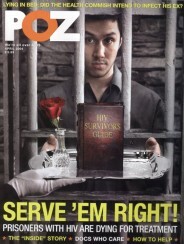 Religion can help heal those living with and affected by HIV/AIDS. This national day is being launched this year in an effort to raise awareness about the importance of HIV education, prevention, support and love within faith communities. The goal is to bring together Muslims, Christians, Jews, Buddhists, Hindus and members of other religions to fight HIV/AIDS. According to the CDC, people age 50 and older accounted for an estimated 17 percent of new U.S. HIV diagnoses in 2014. This age group has the same HIV risk factors as younger people but may be less aware of them. The AIDS Institute first observed NHAAAD in 2008. The AIDS Institute wants people to get involved by hosting free HIV screening events, encouraging HIV testing among older adults and hosting events at senior centers and nursing home facilities. HIV/AIDS continues to play a major role in the lives of gay and bisexual men. This is why the former National Association of People With AIDS established NGMHAAD. According to the CDC, nearly one in seven gay and bi men living with HIV are unaware they have it. The purpose of this national awareness day is to get individuals tested so that those who are positive can get on treatment, remain healthy and reduce the likelihood of transmitting the virus to their partners. This awareness day is observed on the last day of Hispanic Heritage Month. 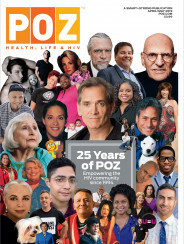 While representing only about 17 percent of the U.S. population, Latinos made up almost one quarter of new HIV diagnoses nationwide in 2014, according to the CDC. The Latino Commission on AIDS and the Hispanic Federation spearhead NLAAD. The goal is to get Latinx (pronounced “La-teen-ex” and used as a gender-neutral plural pronoun for Latinos/Latinas) people to join the fight to end the epidemic. The World Health Organization founded World AIDS Day with support from the United Nations. About 36.7 million people across the globe have HIV, according to UNAIDS. Every December 1, the world comes together to continue the fight against HIV, show support for those living with the virus and to remember those lost to it. Community organizations, health advocates, governments and others coordinate related events worldwide.